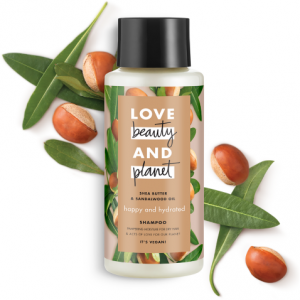 Unilever is targeting ethical and environmentally conscious millennials with the launch of its new Love Beauty and Planet (LBP) brand this week. The new beauty range is Unilever’s first new personal care brand in 20 years and was inspired by the firm’s Sustainable Living Plan, explained Chris Barron, vice president of beauty and personal care at Unilever UK and Ireland. “Love Beauty and Planet reflects our passion at Unilever to enable everyone to live more sustainably and consciously by highlighting the simple steps we can all take to help make a better future for our planet,” he said in a statement. The brand, which includes a range of face masks, shampoos, conditioners, and body washes, was launched in the US in December 2017 and lands in UK stores, including Boots, for the first time this week. As well as vegan-friendly formulas and a promise all ingredients will come from certified sustainable sources by 2020, LBP also uses bottles made from 100 percent post-consumer recycled plastic which are in turn 100 per cent recyclable. Currently only 50 per cent of bathroom product packaging is recycled in the UK. LBP’s operations are subject to an internal carbon tax of $40 per tonne, and the brand will cut its carbon footprint by 20 per cent by 2020. The firm is also working on expanding its fast rinse technology, currently used in its conditioners, to shampoos, in a bid to cut water use while showering. The launch is targeting the hordes of Gen Z and millennial consumers, who, research suggests, are more likely to shop with a brand which they trust on environmental and ethical issues. Unilever is looking to capitalise on growing consumer demand for ethical products. By launching Love Beauty and Planet, it has a new brand with green credentials. In the last few months, L’Oreal has launched a natural hair dye range and Garnier USA a line of cradle-to-cradle certified skincare products. Unilever and L’Oreal are also acquiring dedicated natural & organic personal care brands. If the future is indeed green, expect to see more such product launches and M&A activity.